We're of the mindset that women can conquer anything (and we mean anything). But even the most badass among us could use an extra boost sometimes, whether you're recovering from a personal setback or charting new professional territory. And when you need to channel your inner strong girl, quotes about strong women can be remarkably effective -- especially when uttered by the most inspiring females on the planet. Whether spoken by famous funny ladies or profound feminist authors, strong women quotes have a way of reminding us who we are, and how to become who we want to be. So the next time you're feeling down or are in need of an I-am-woman-hear-me-roar moment, pull up this list of strong women quotes. 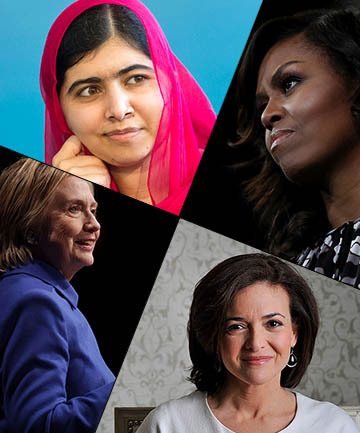 Here, the 27 quotes about strong women you need to get you through all of life's challenges.